In order to fill up more sketchbooks, which is on my bucket list for 2015, I have been coming up with lots of new drawing prompts, so I’ve been sketching A LOT lately! 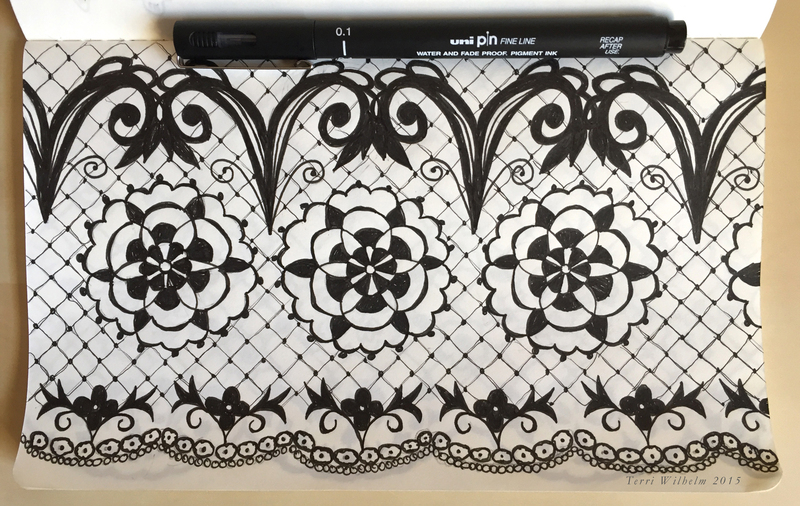 These days I’ve been experimenting in my sketchbooks with drawing lace doilies, lace edging and lace patterns with fishnet backgrounds. 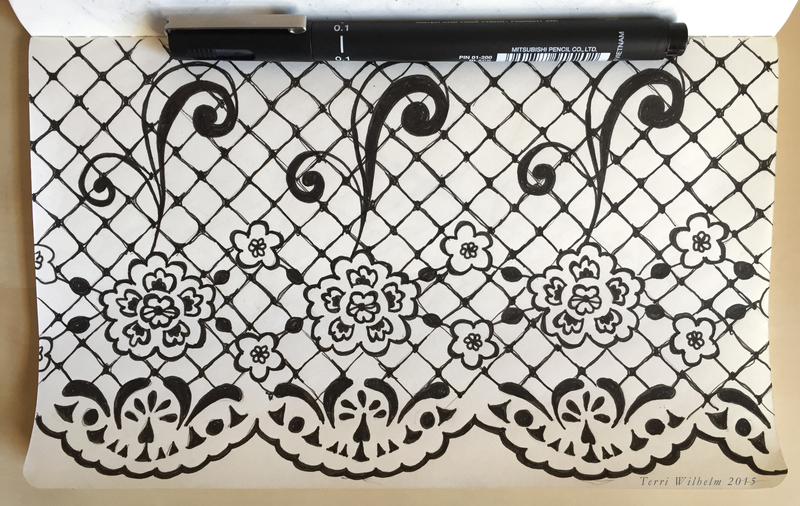 Time with my sketchbook continues to be one of my favorite things to do! I’m on a roll so I’m just going to keep going. 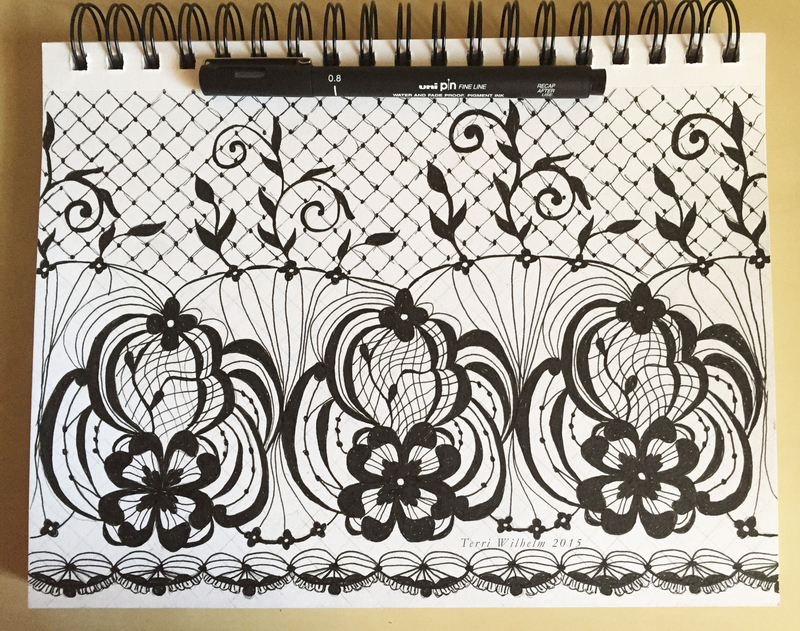 beautiful patterns. And you do a fine job repeating the patterns consistently. My technique is terrible for that sort of thing….